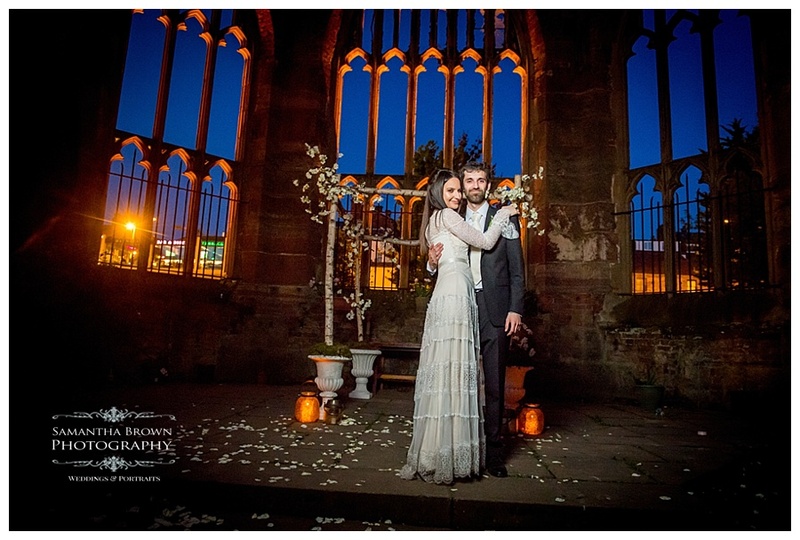 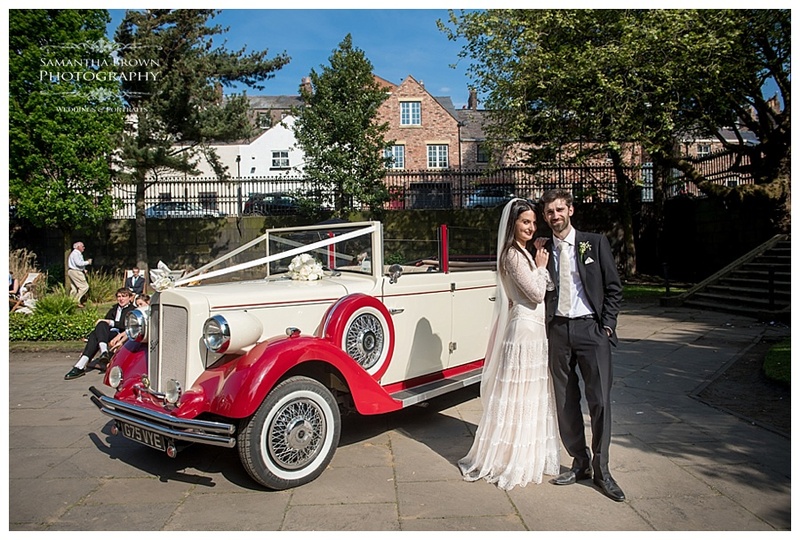 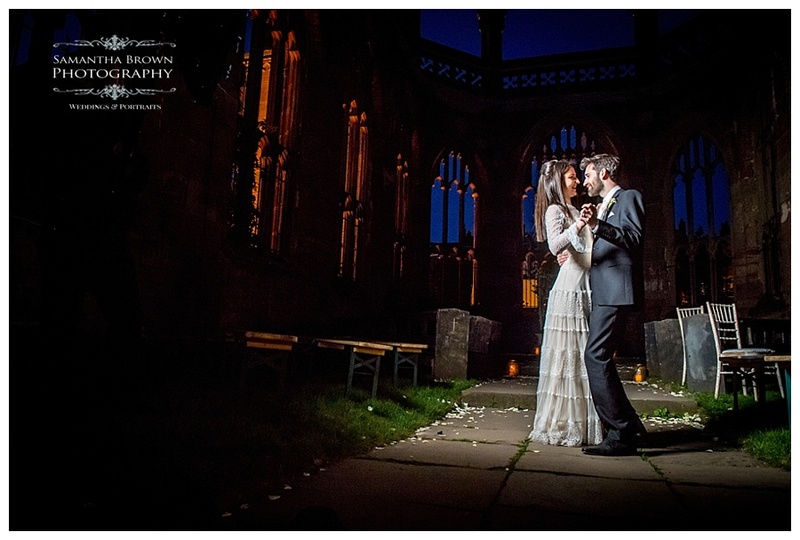 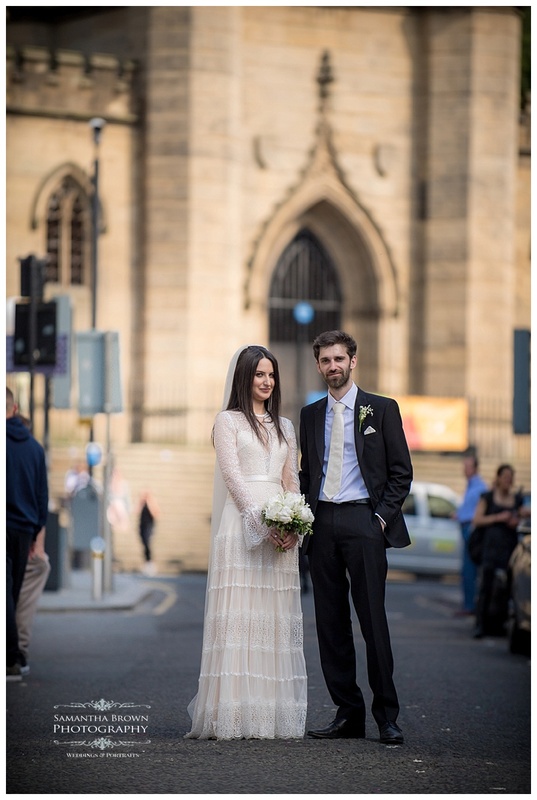 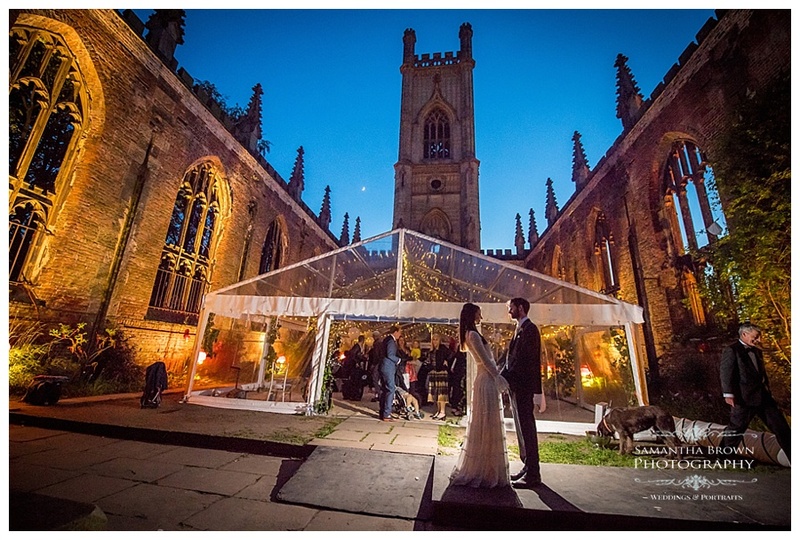 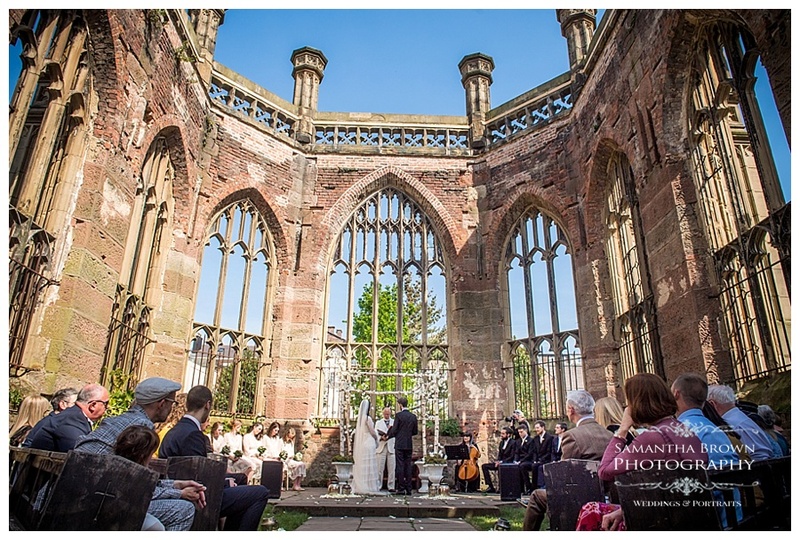 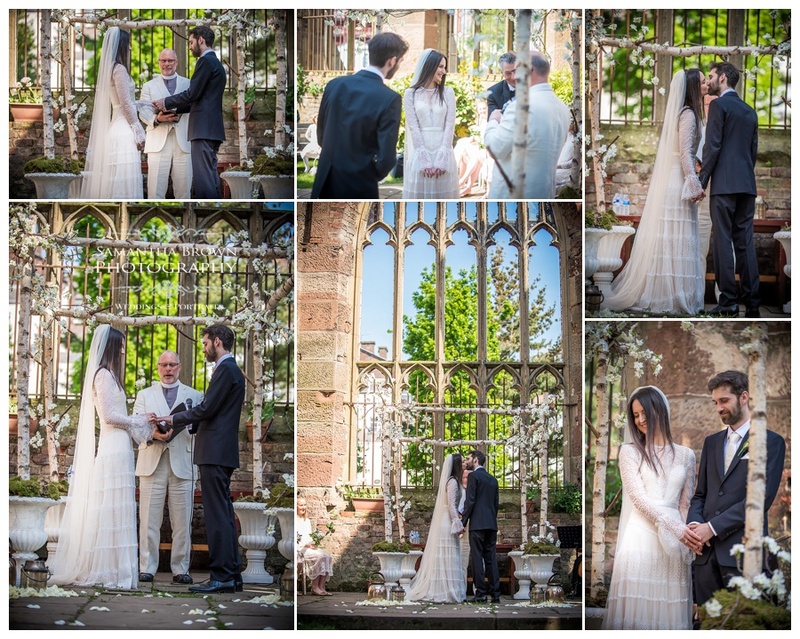 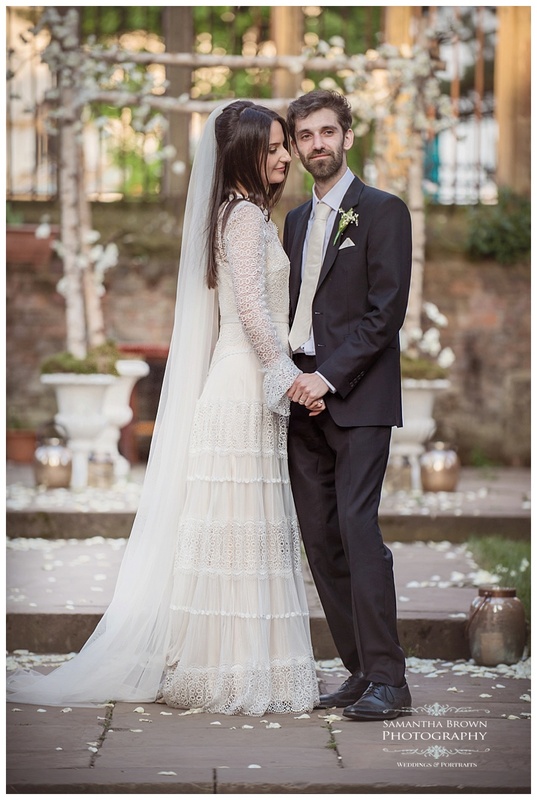 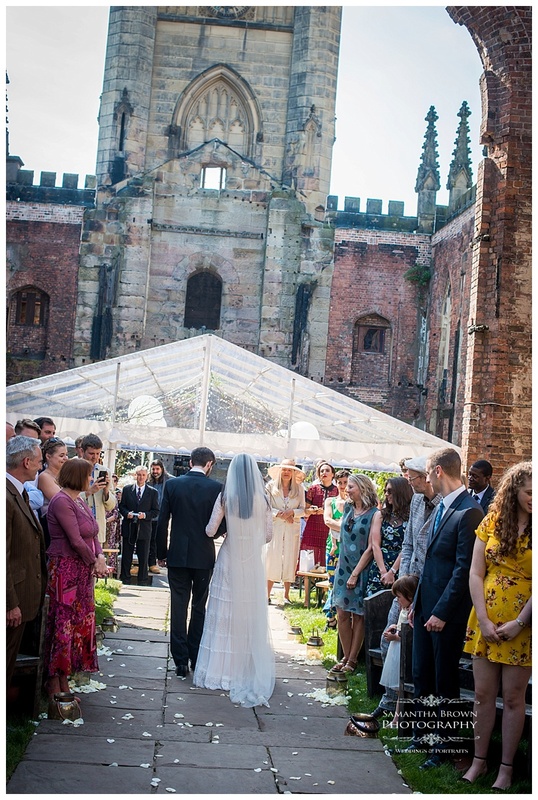 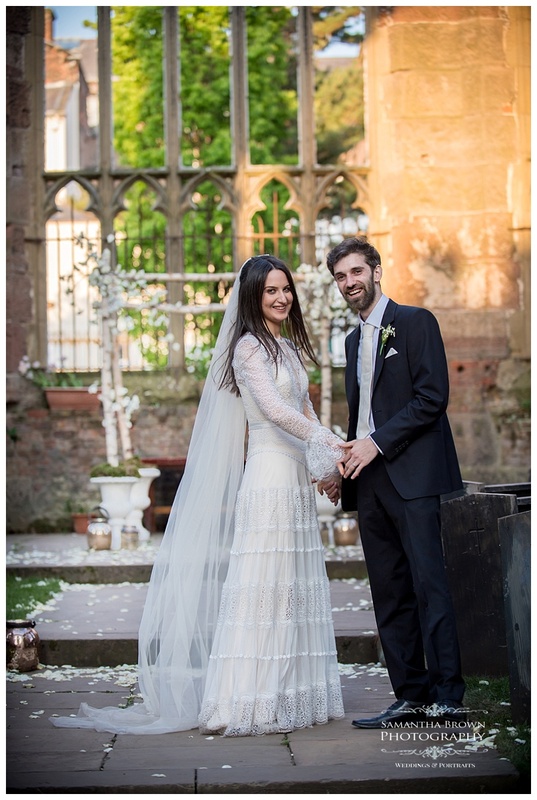 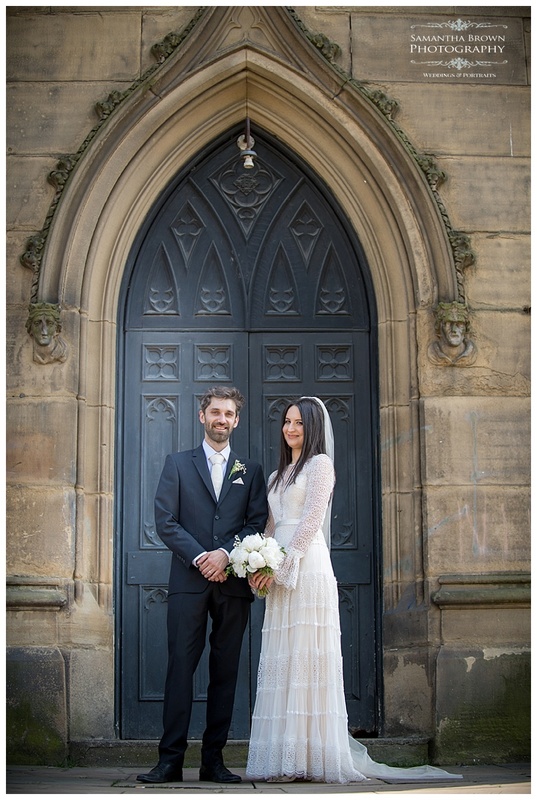 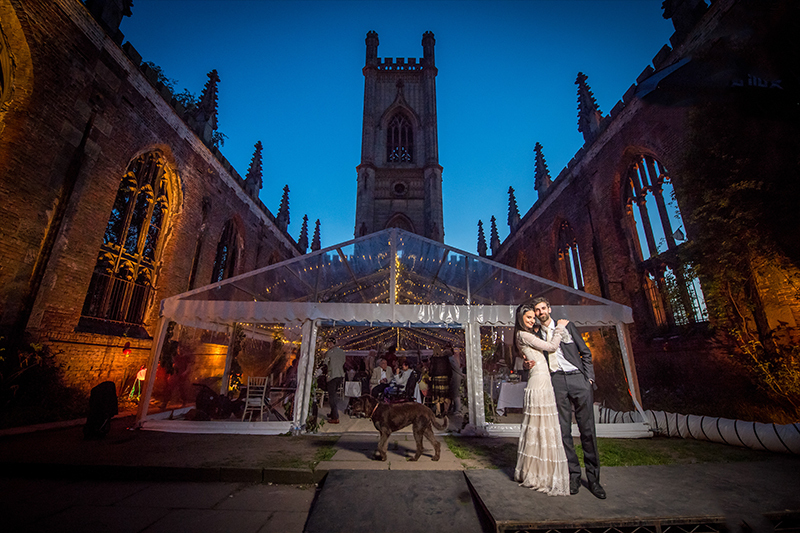 Heloise and Flynn’s wedding took place in the beautiful St Lukes Church affectionately known as the Bombed out church in Liverpool. 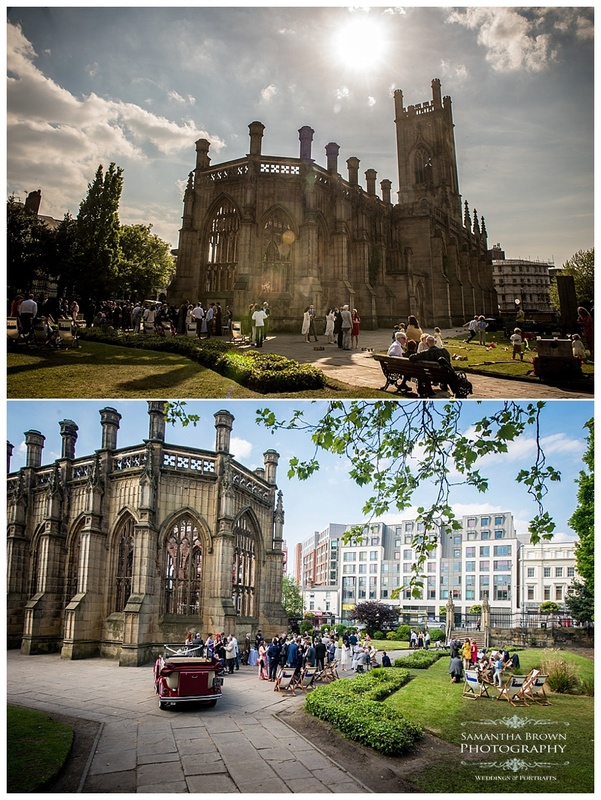 From 2007 till 2014, Urban Strawberry Lunch organised the day-to-day maintenance of St Lukes and coordinated a diverse calendar of regular exhibitions and events inside the grounds. 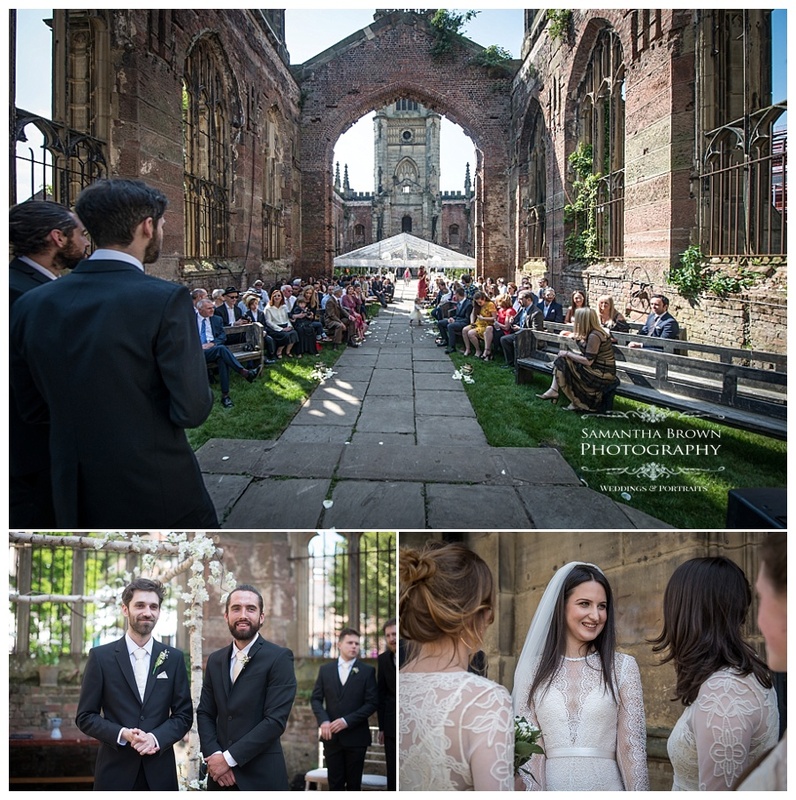 In addition to this, they arranged showings of films, and many dance, poetry, and drama performances. 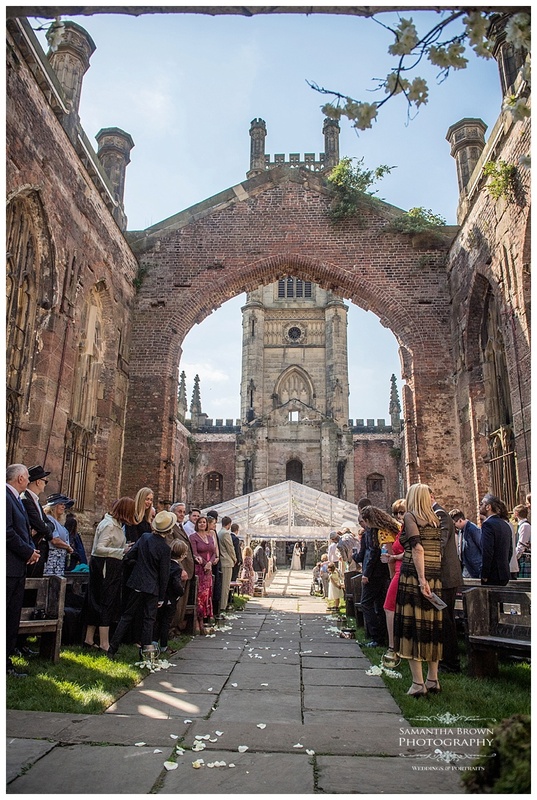 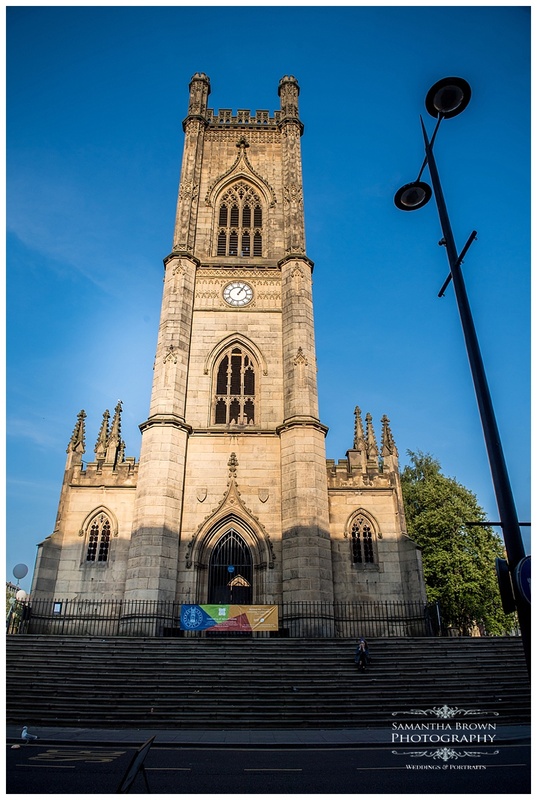 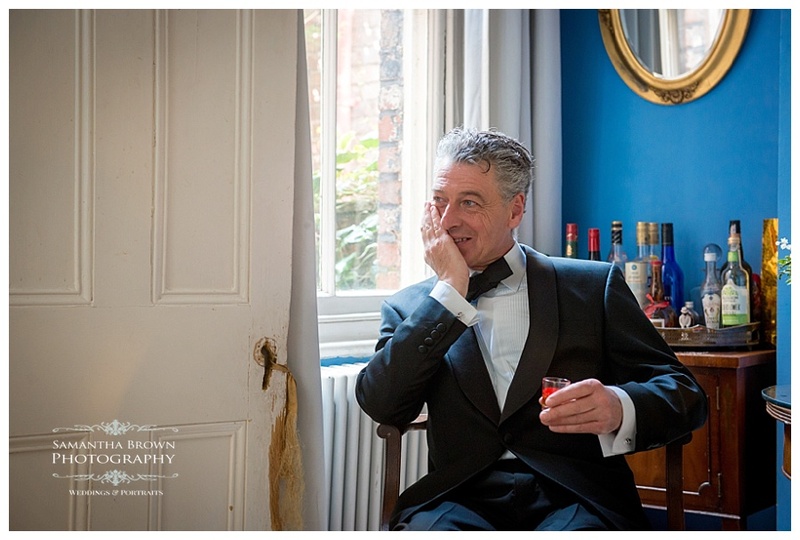 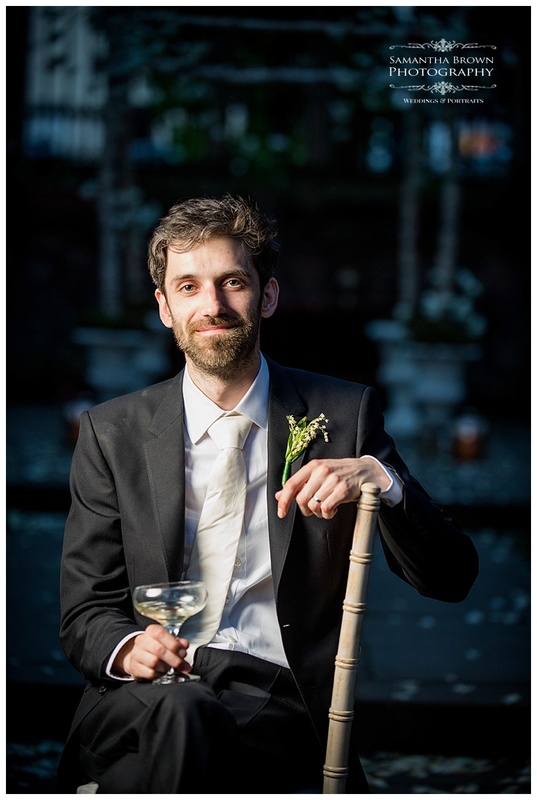 Since 2014 to present day, Ambrose Reynolds (father of Heloise), former Artistic Director for Urban Strawberry Lunch, joined other members of the community to create a new organisation, ‘Bombed Out Church’; named after the building’s colloquial name. 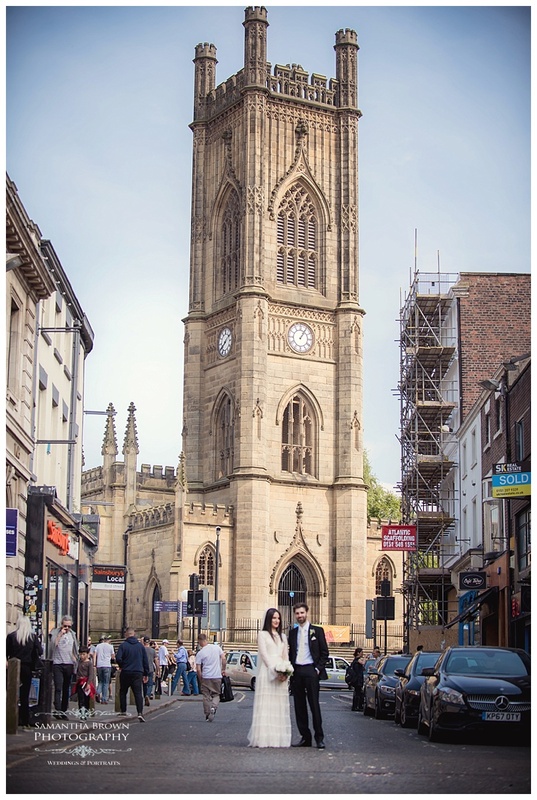 They have since continued the work started by USL, maintaining the church as a creative hub for the community. 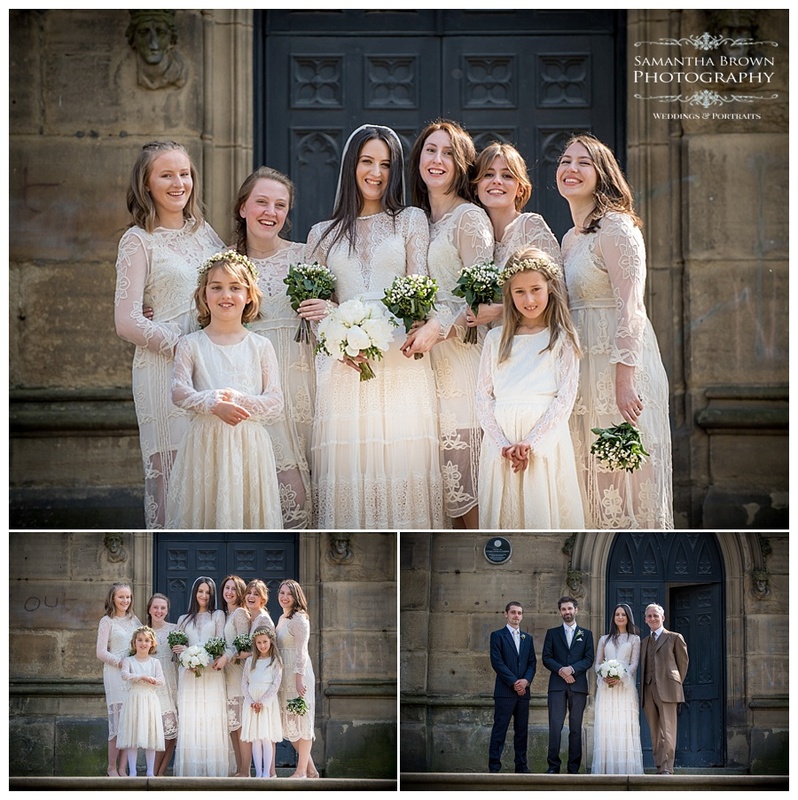 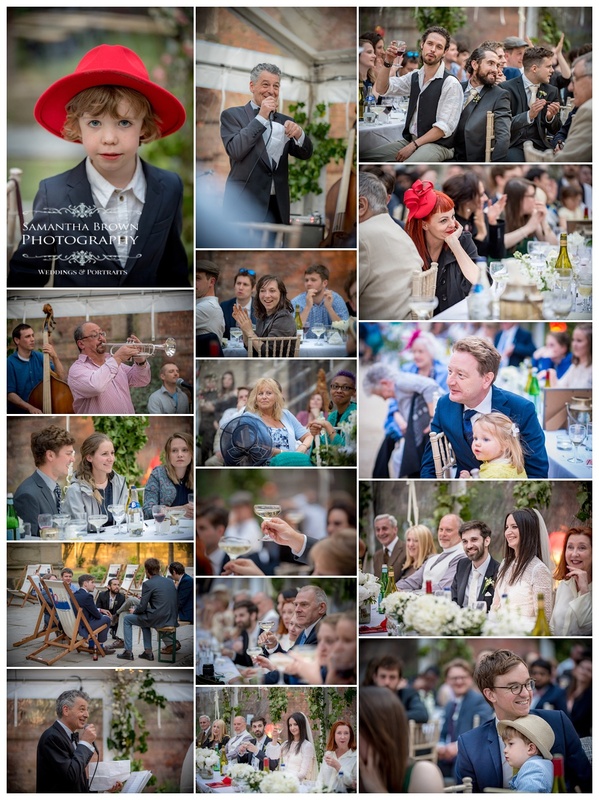 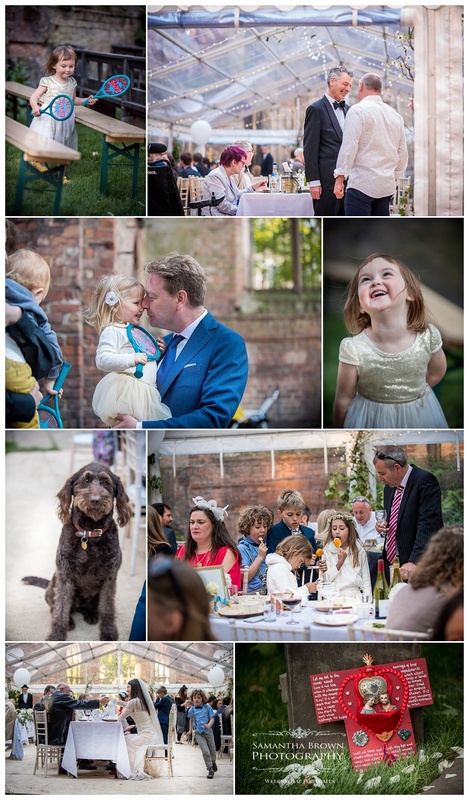 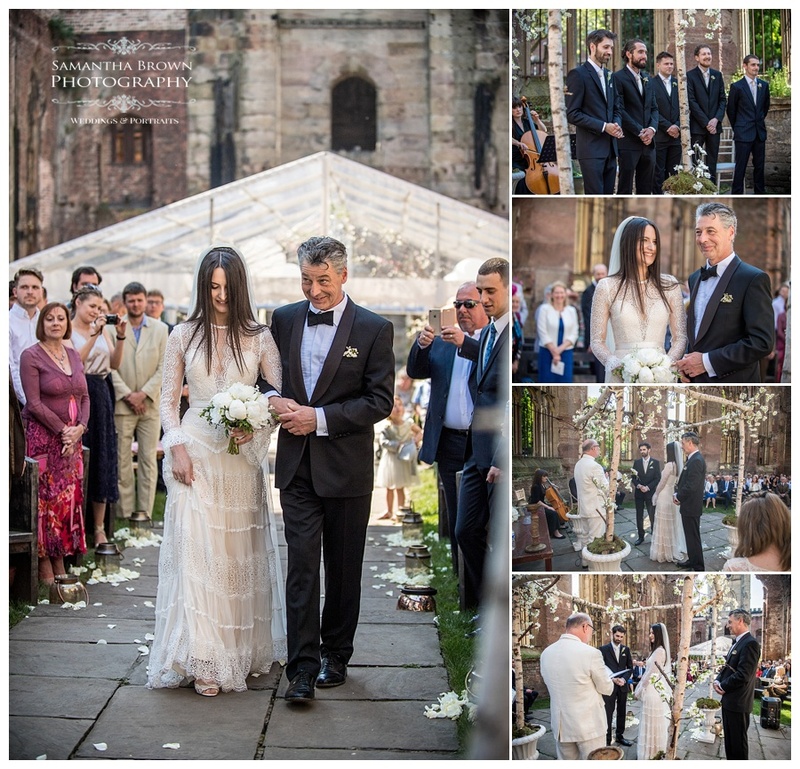 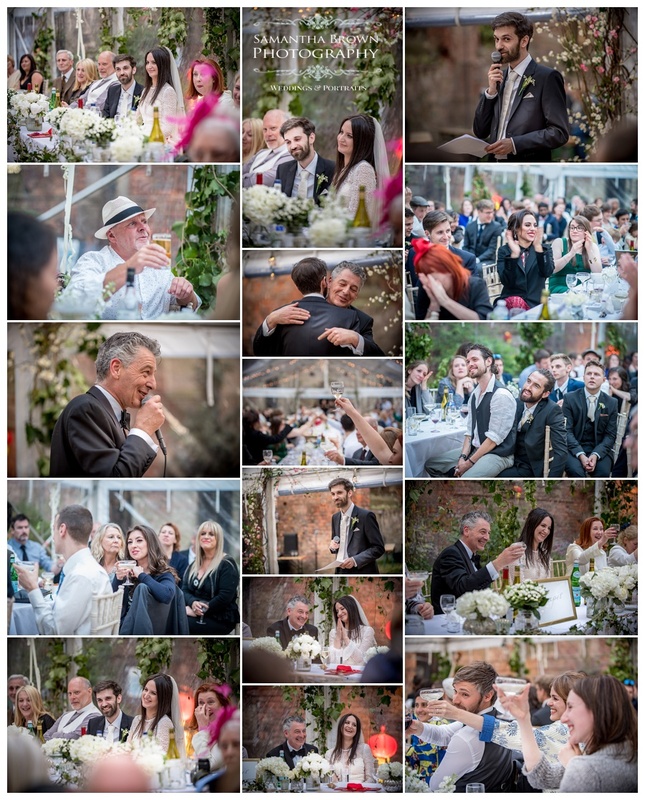 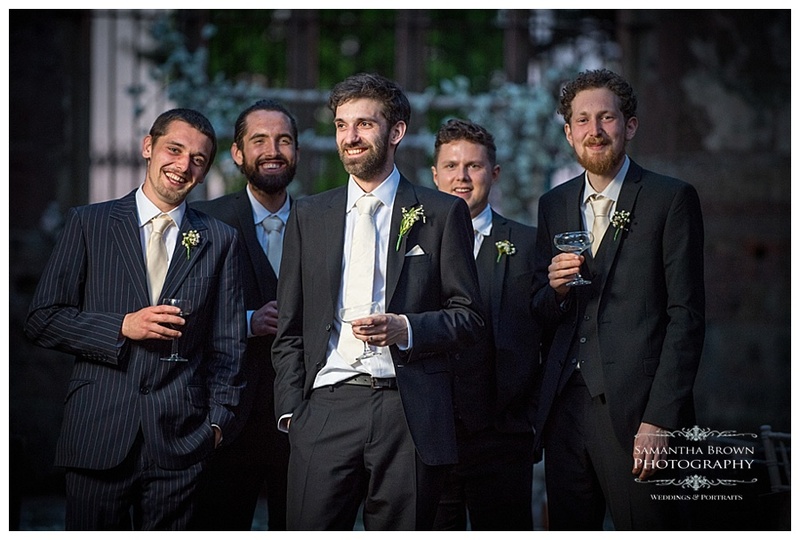 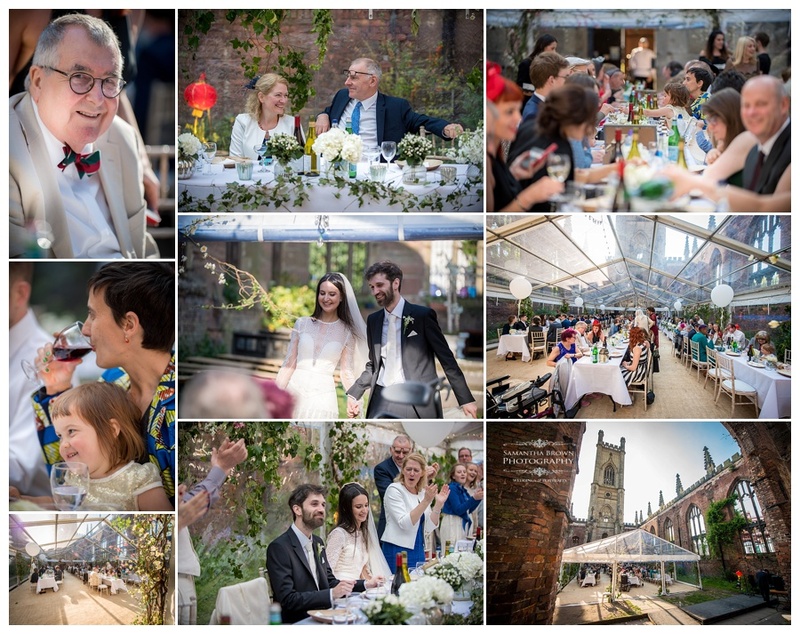 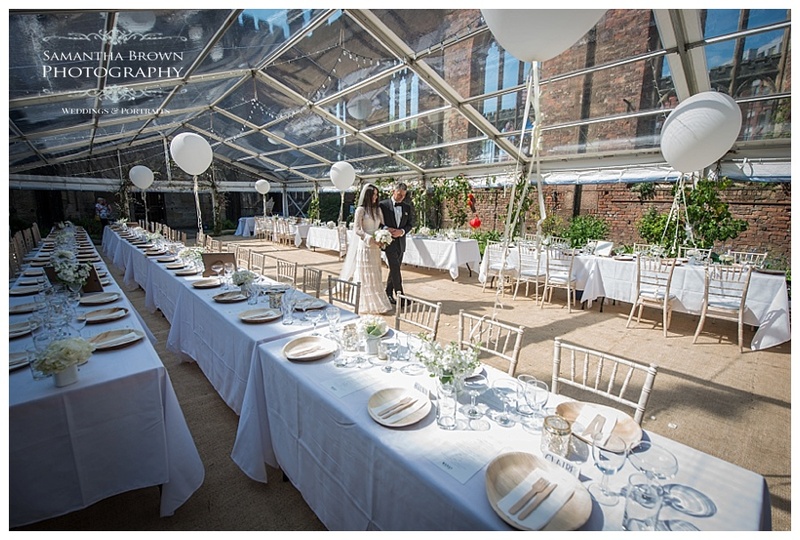 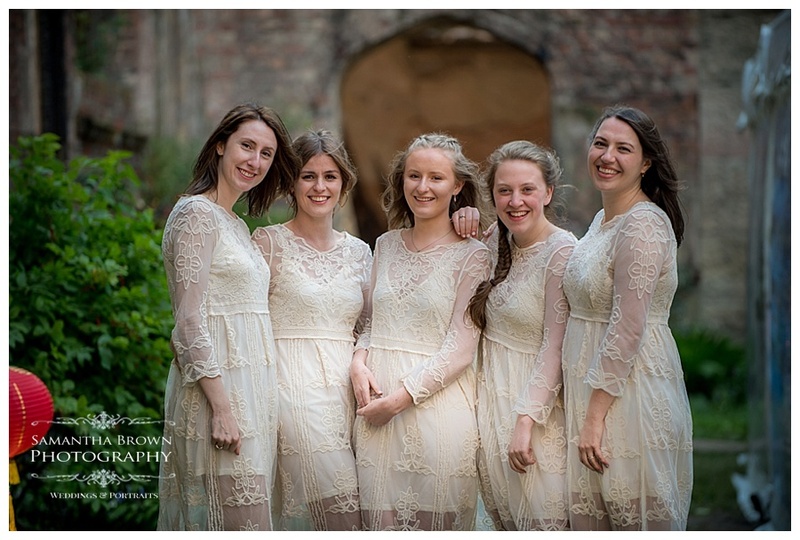 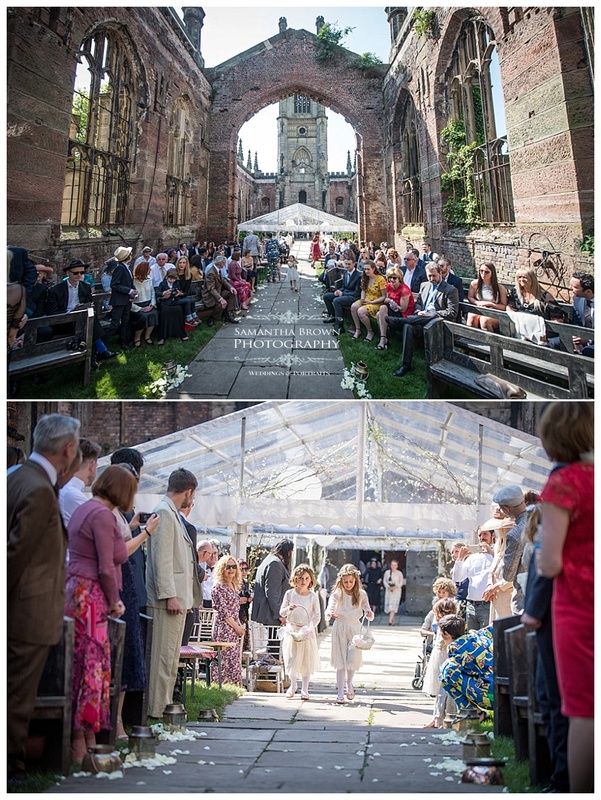 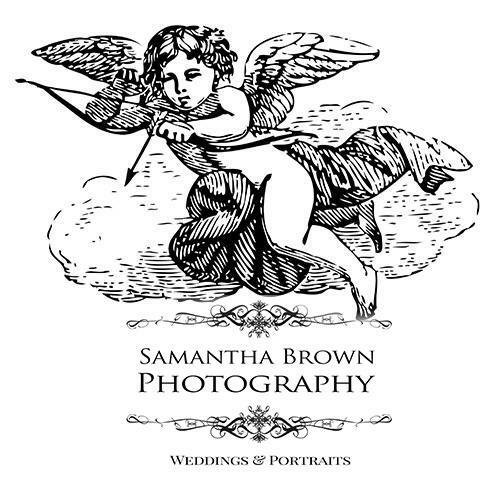 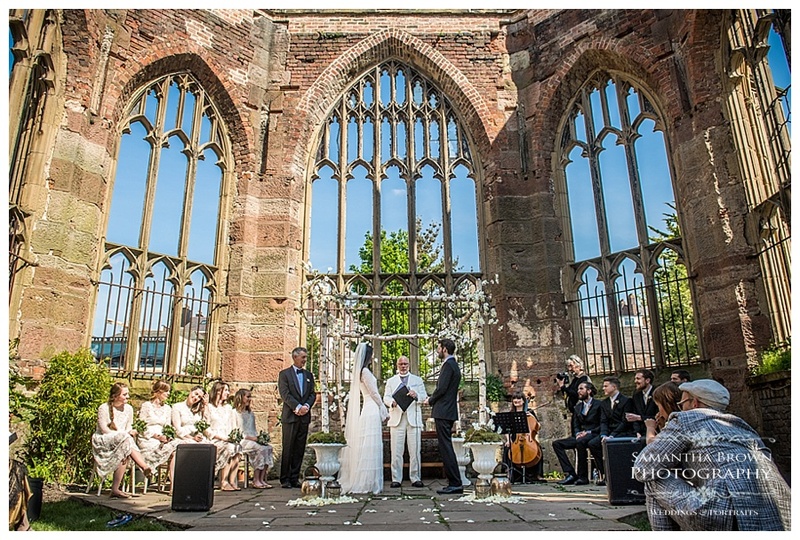 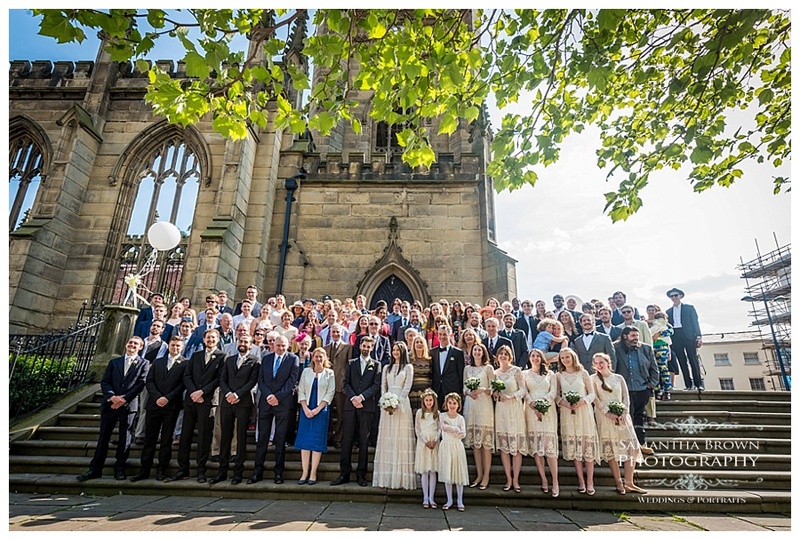 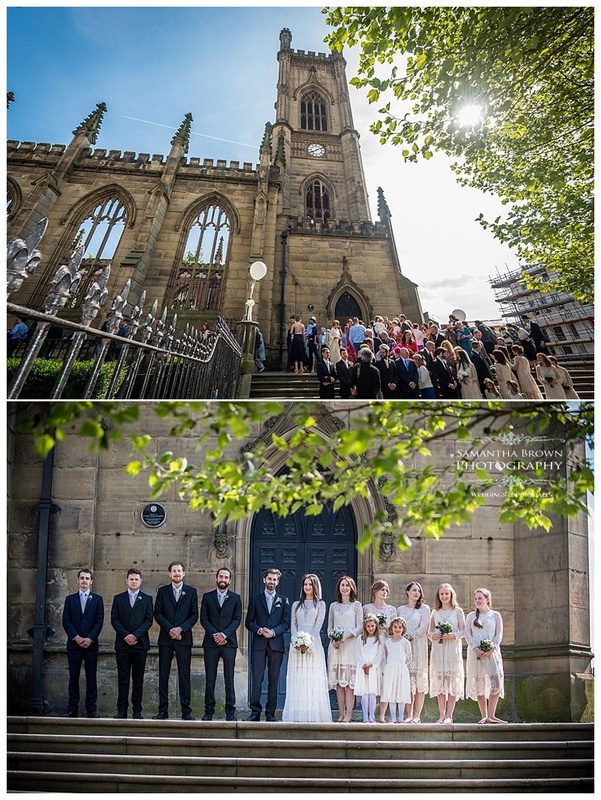 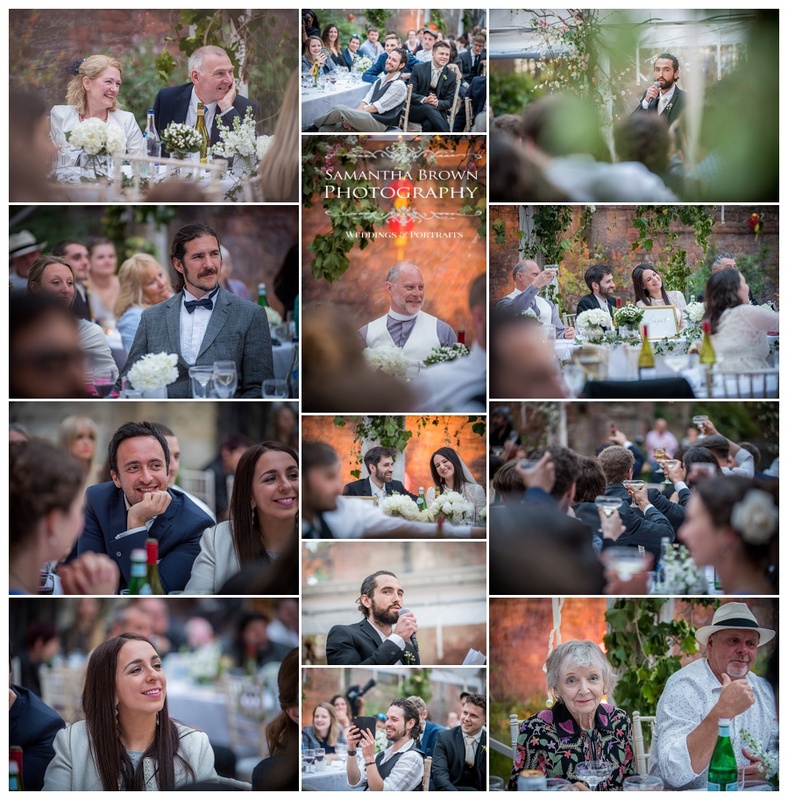 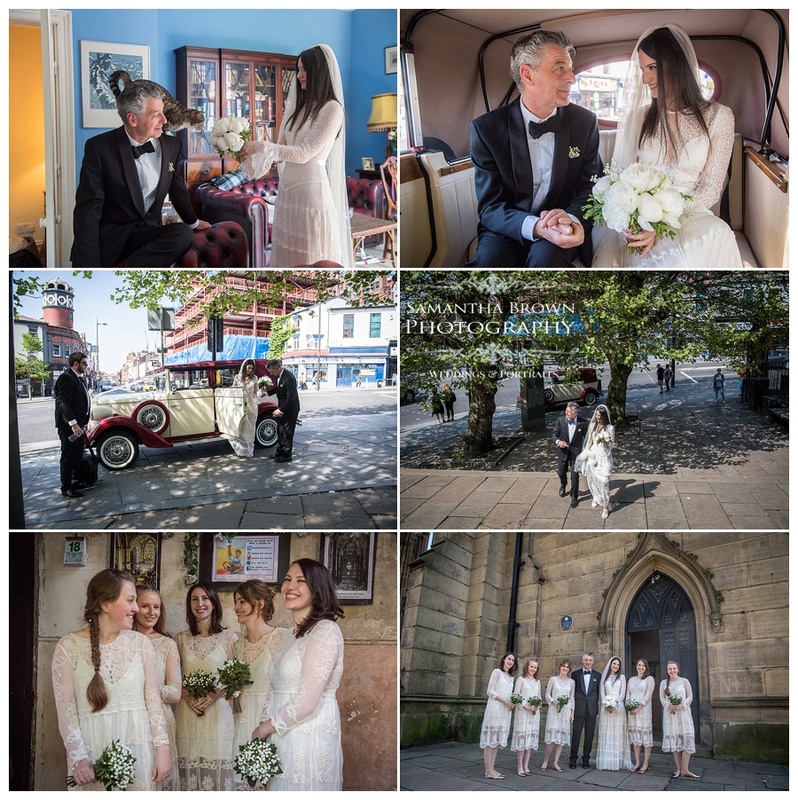 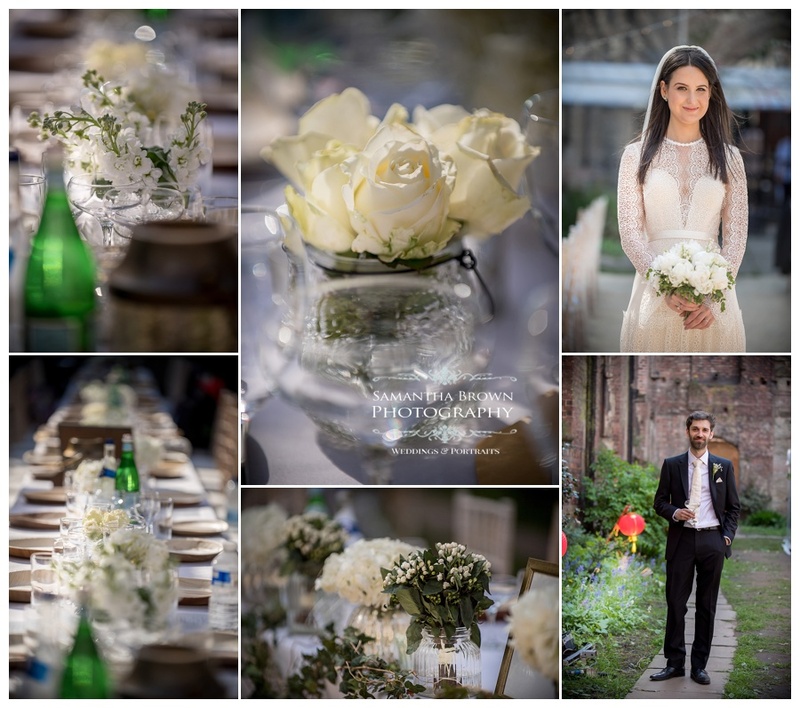 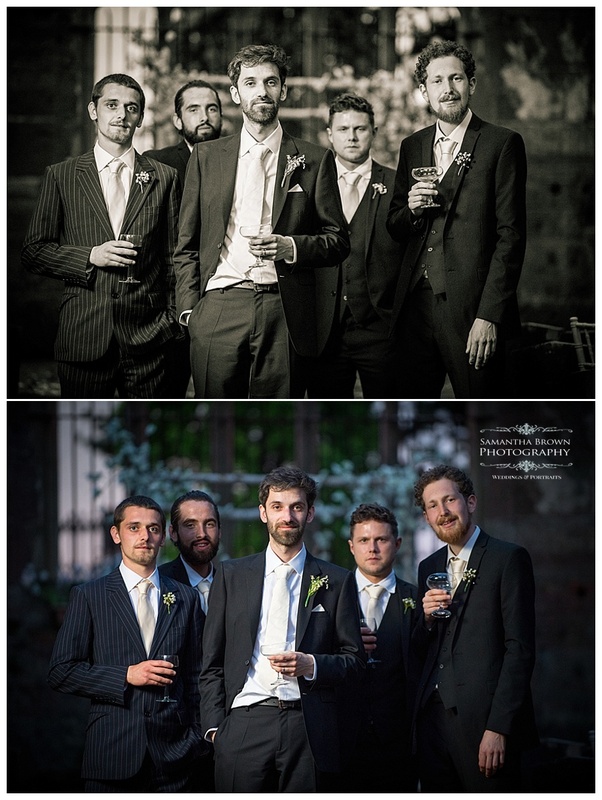 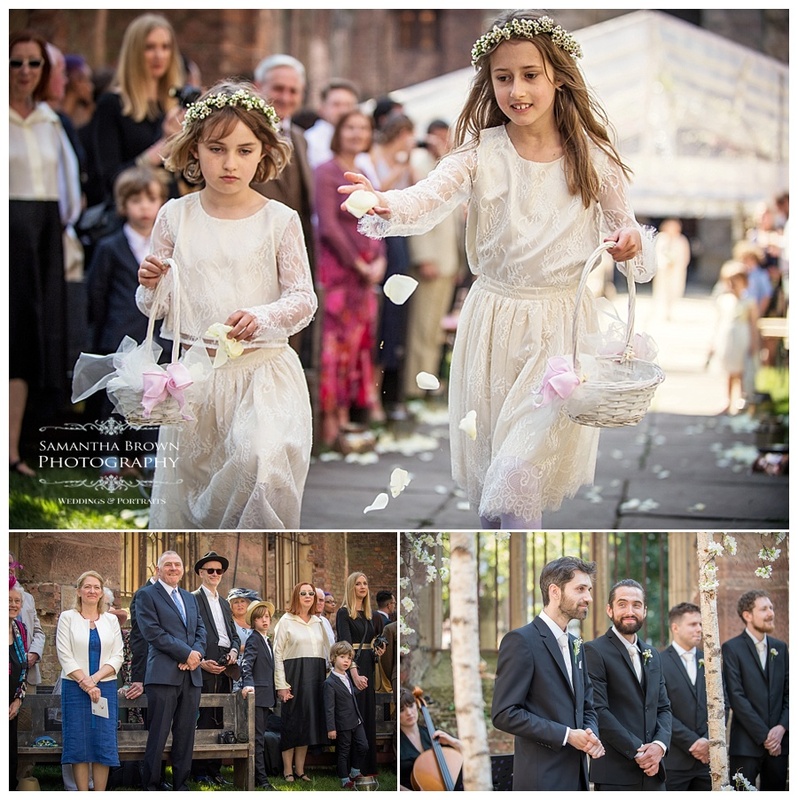 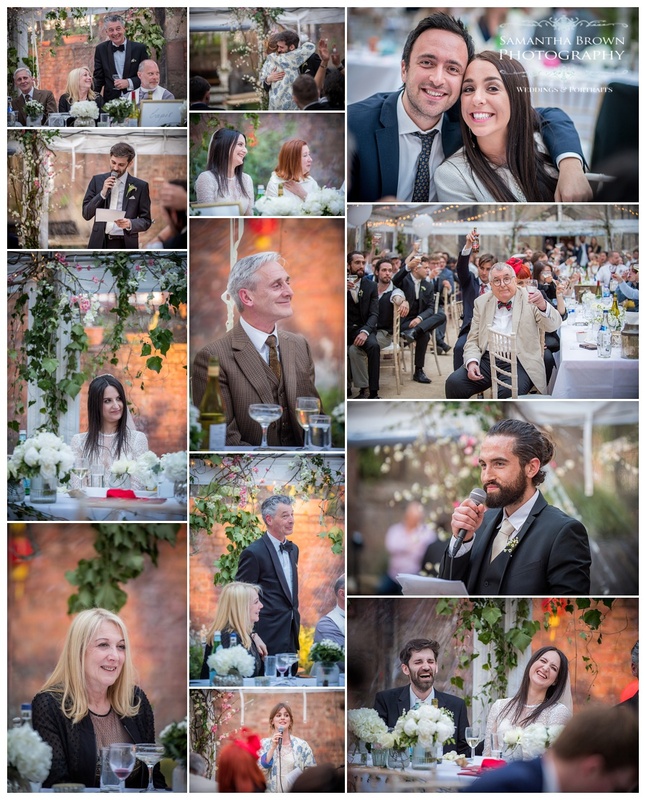 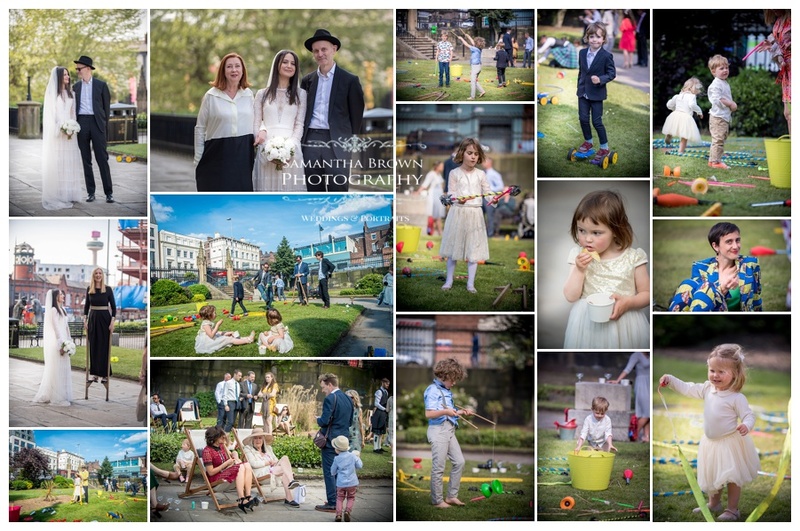 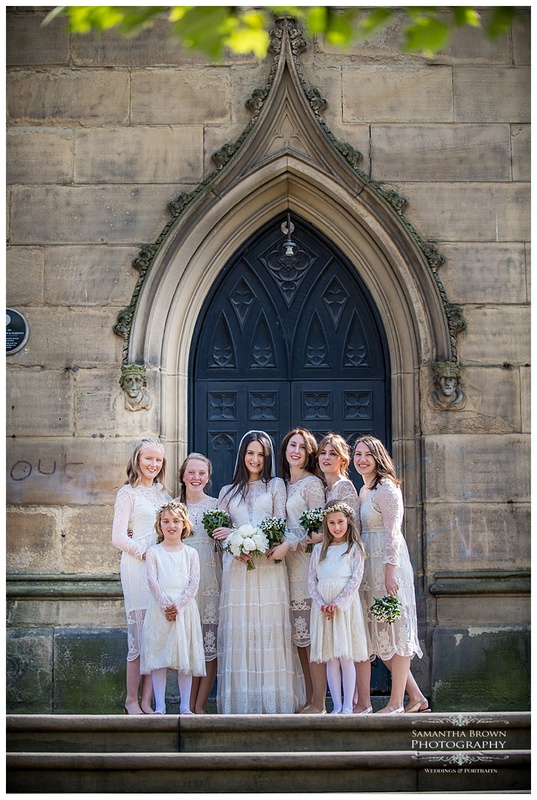 In my days of photographing for the Liverpool Philharmonic I was involved with photographing a project with Urban Strawberry Lunch, little did I know that so many years later I would have the honour of photographing Ambrose’s daughter’s wedding at the Bombed out Church. 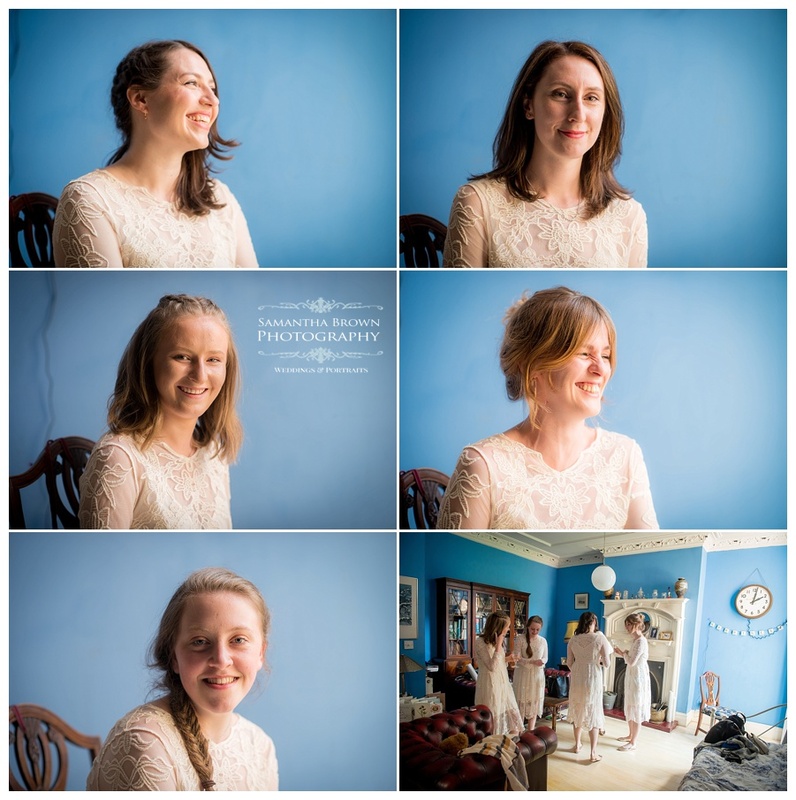 It was Heloise and her lovely mum Jilly who came to see me and booked me for the wedding. 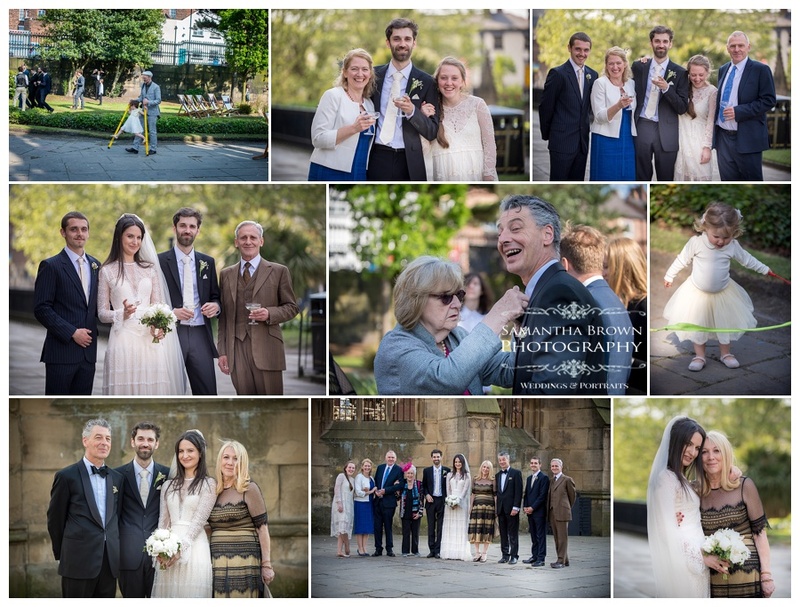 I felt so excited and privileged that they had chosen me and it was lovely to have a link to the family from my past days of photographing for the Liverpool Philharmonic. 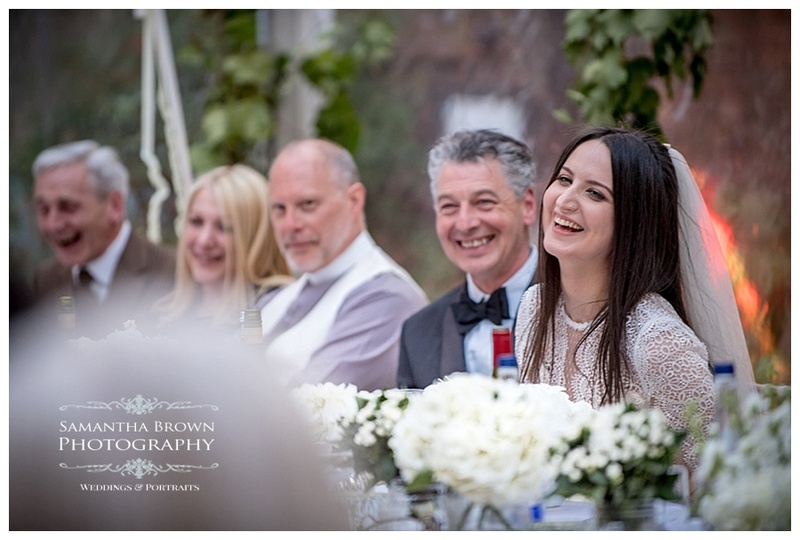 It was a beautiful day full of emotion. 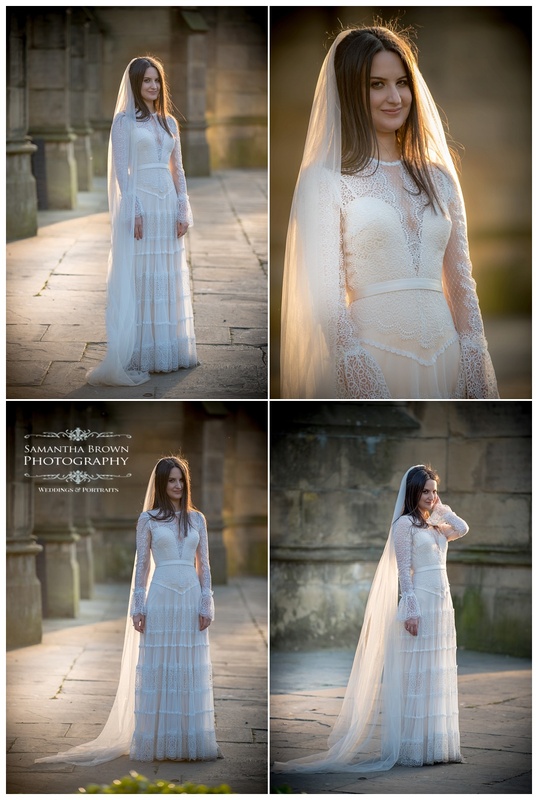 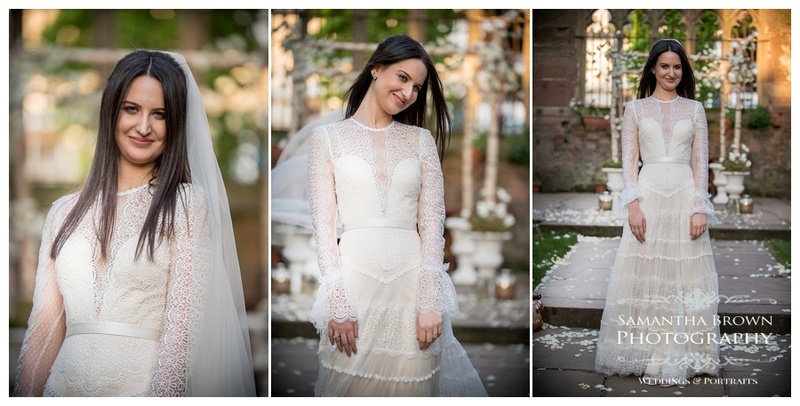 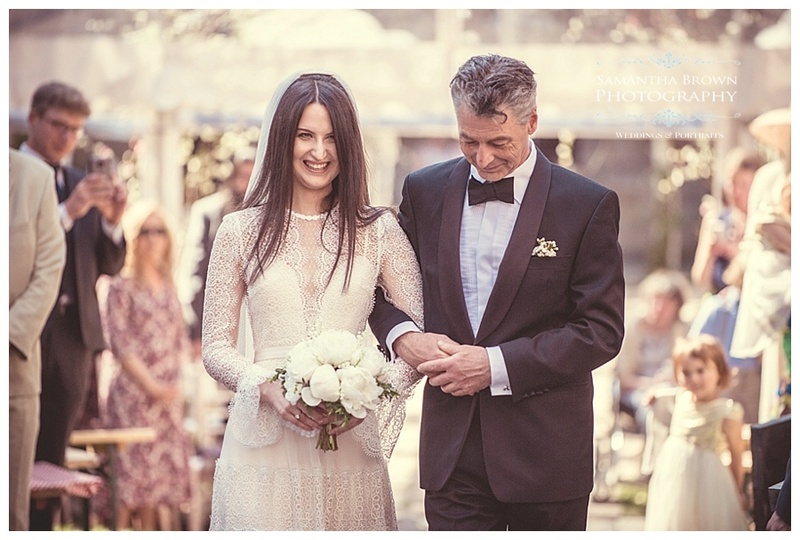 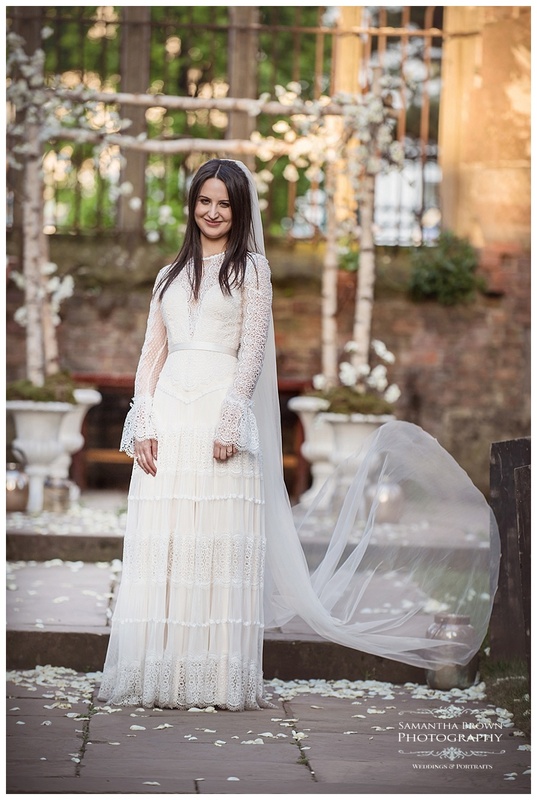 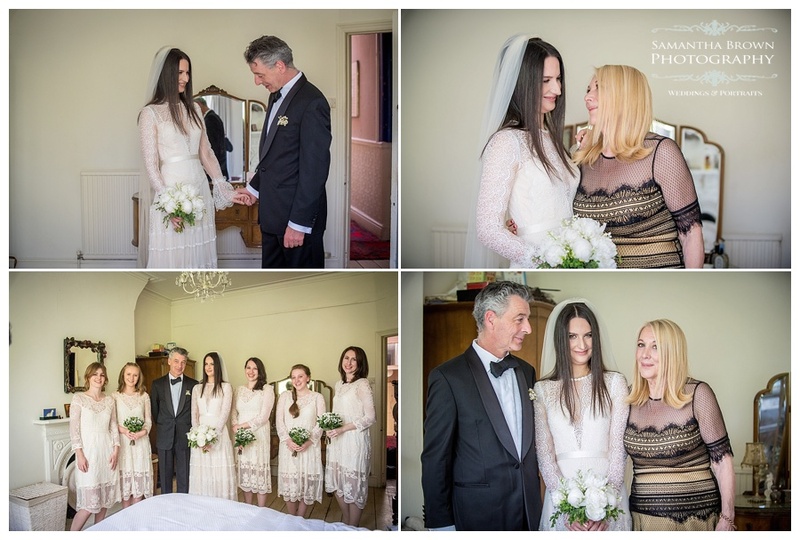 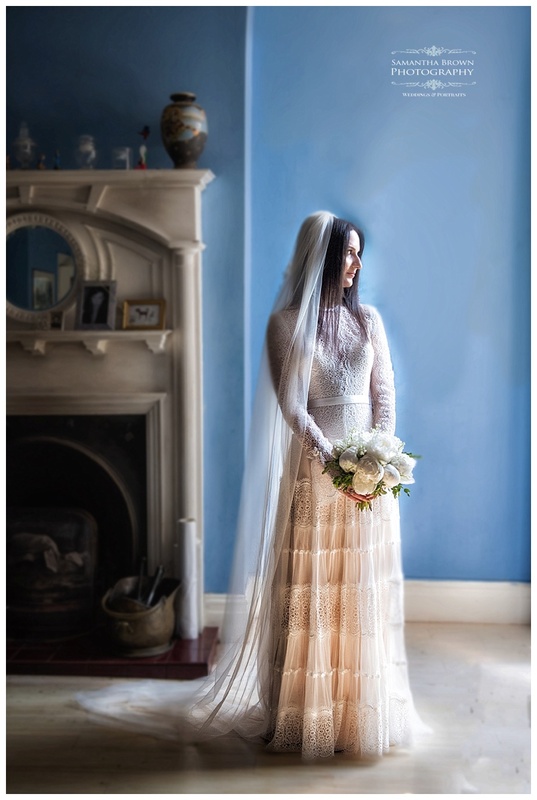 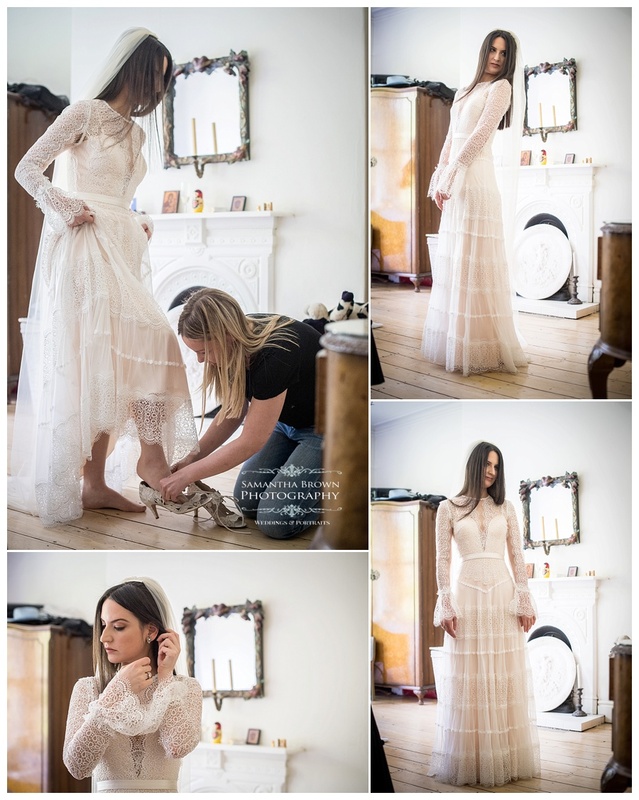 I can’t tell you how stunning Heloise looked in her beautiful gown. 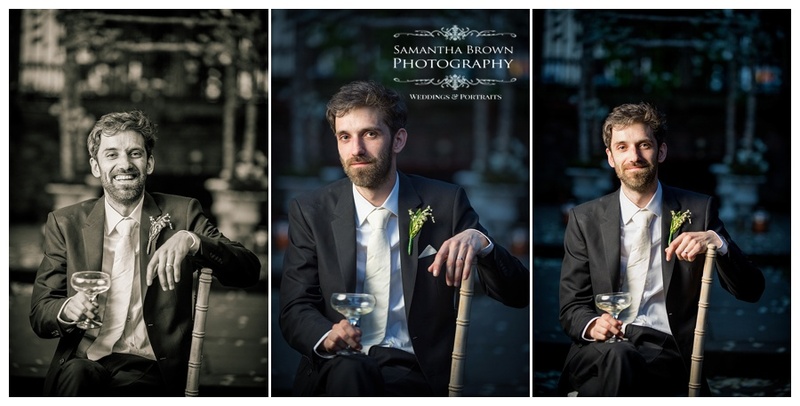 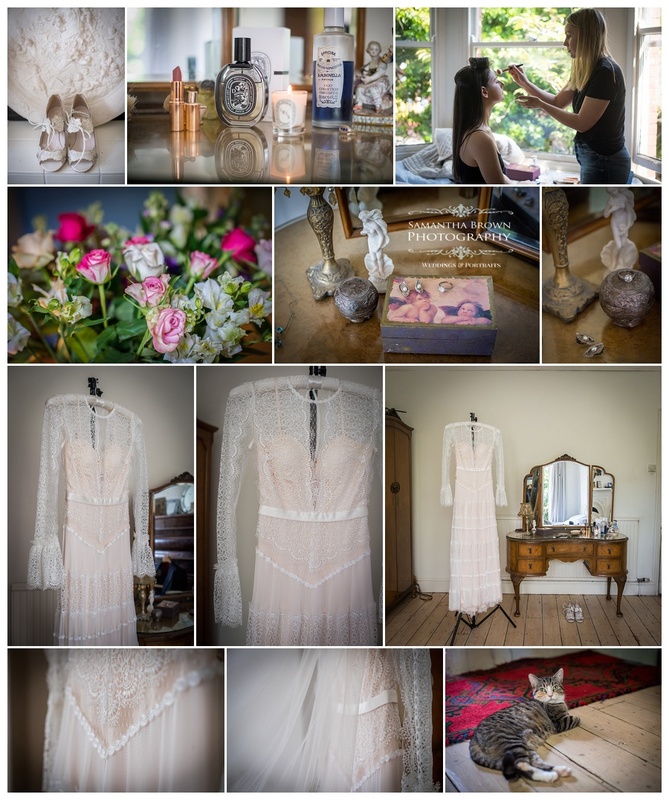 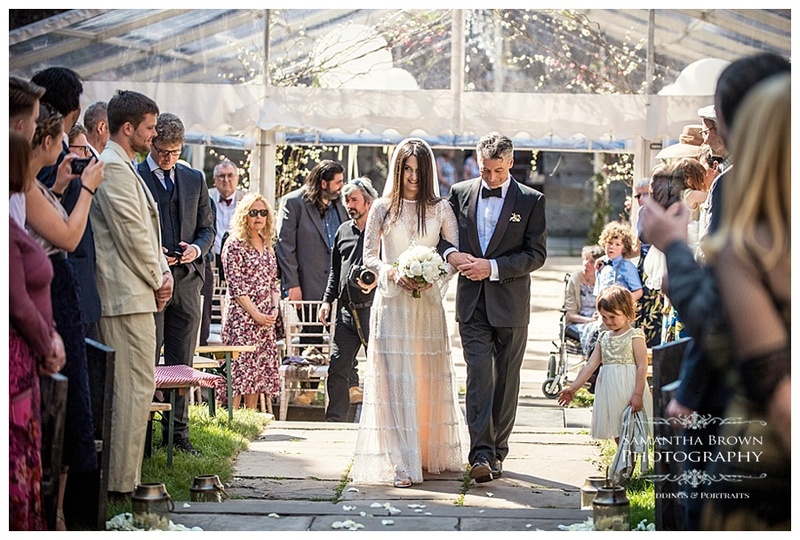 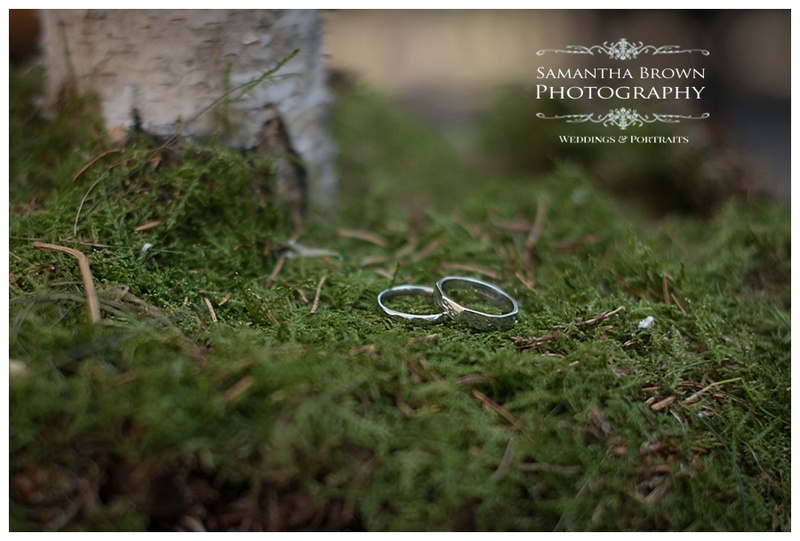 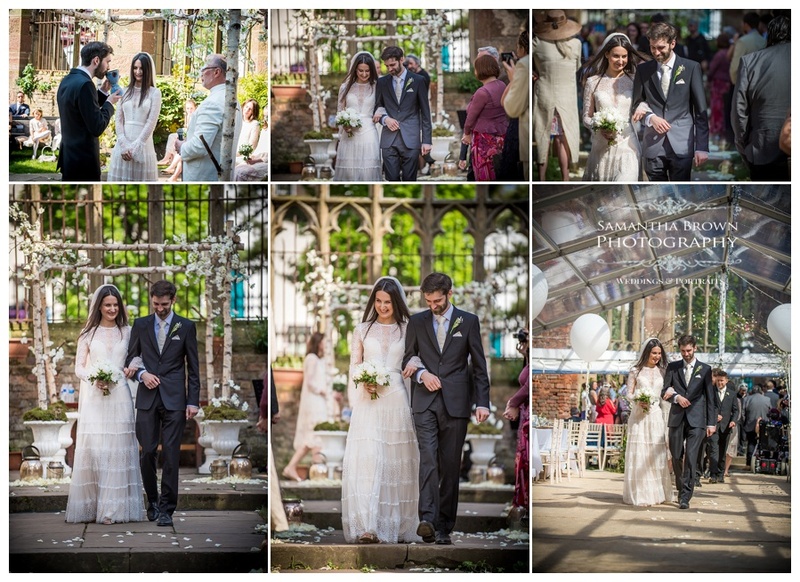 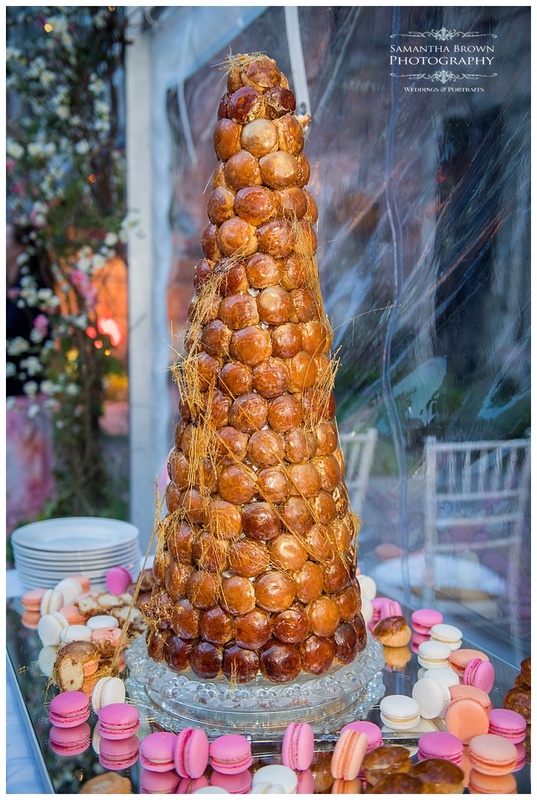 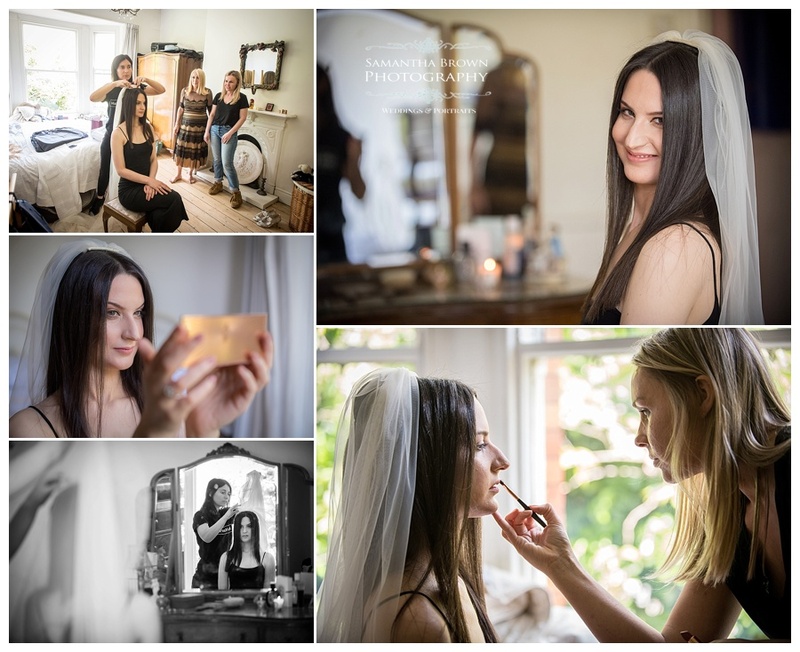 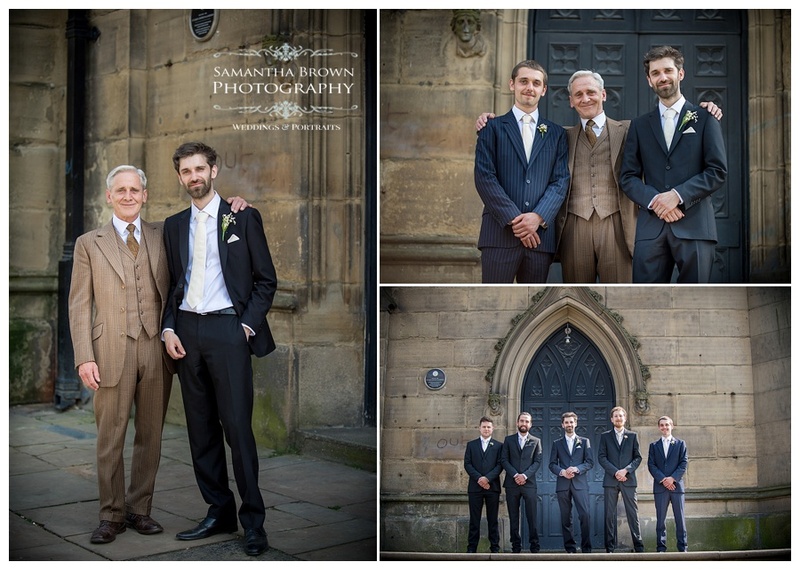 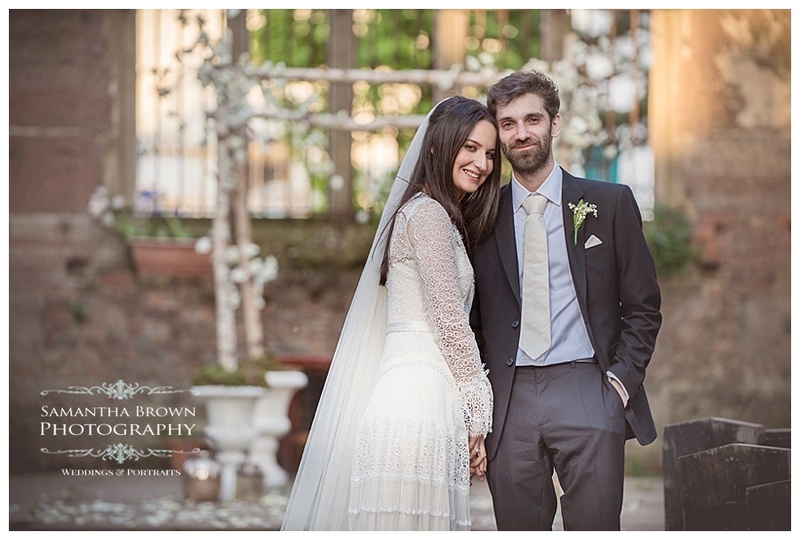 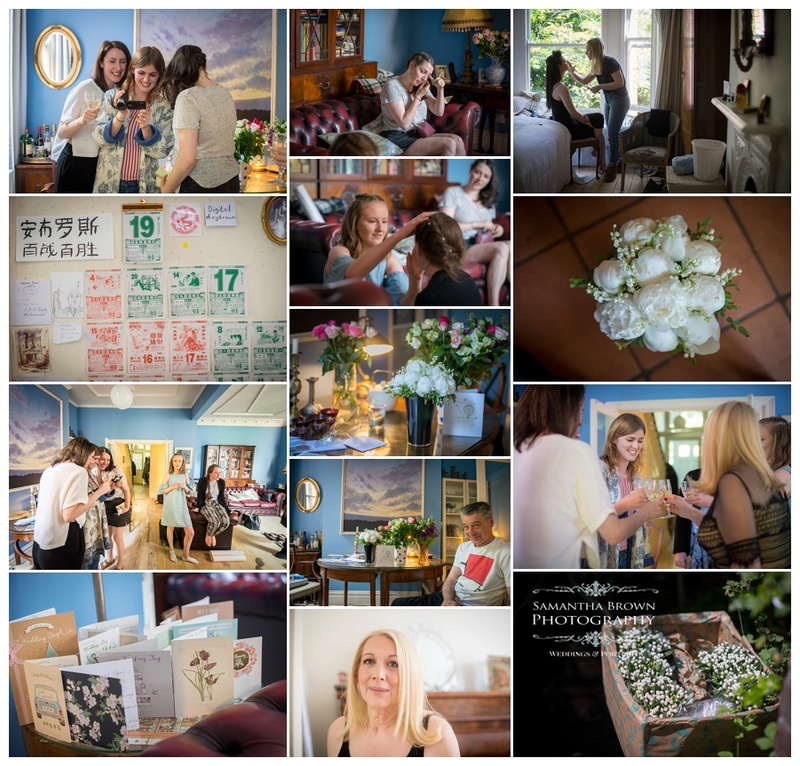 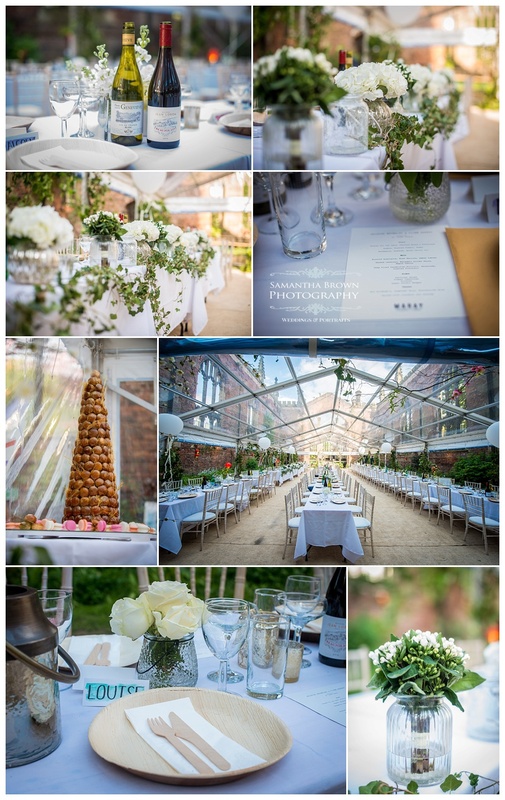 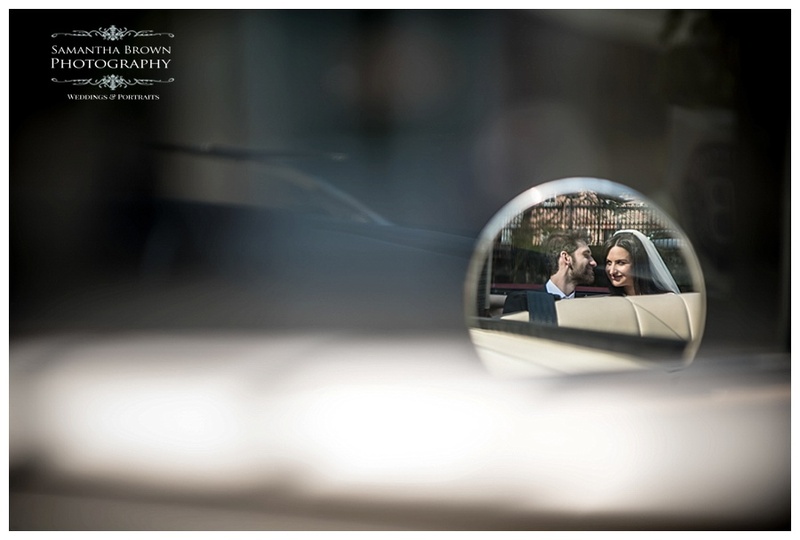 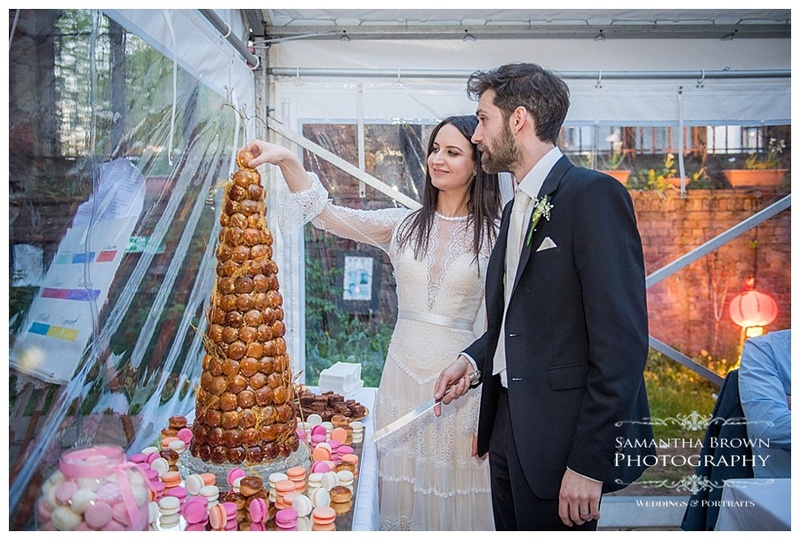 Everything about the day was just magical and we loved photographing every minute of it. 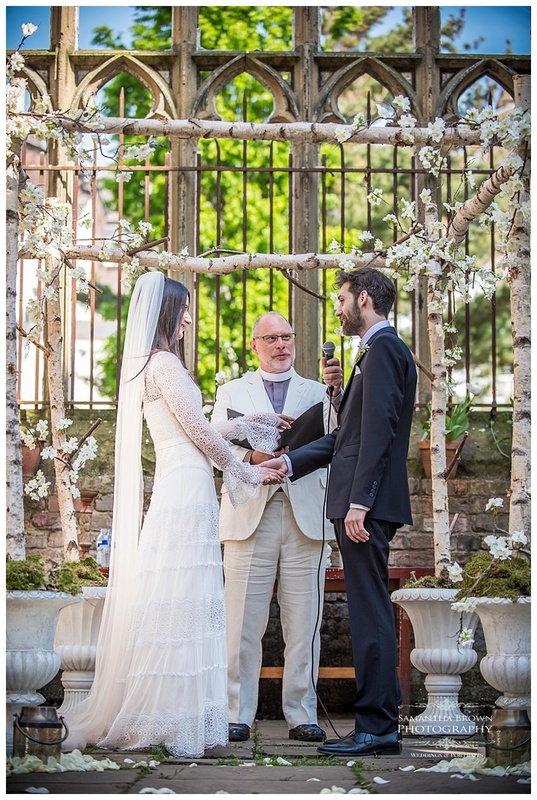 Neil and I wish Heloise and Flynn every happiness in their married life.